Just as cinephiles wait with bated breath for the year’s Academy Award nominees, so too do designers await Pantone’s announcement for its color of the year. For 2019, the authority in color matching chose “Living Coral” as the trend, evoking a “vibrant, yet mellow” spirit to take us through the winter doldrums and straight into the energy of spring and summer. With hues of pink and orange and a golden undertone, Living Coral is the pop of color you’ll need to freshen up your home. We’ve chosen five products that will help transition your spaces into a more playful color palette. If you need a statement piece, look no further than this Anthropologie sofa. The textiles can be customized from an entire rainbow selection of velvet and slub velvet, but we’ve chosen the plush “Blossom” color, which complements the brass legs to create a modern yet playful centerpiece. 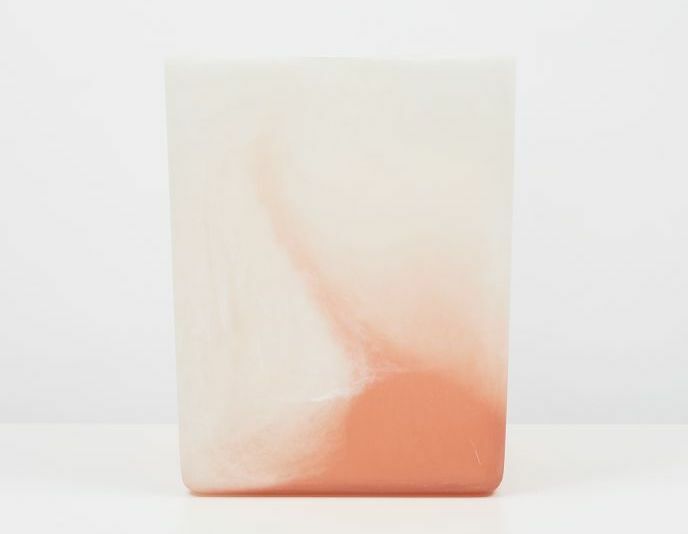 Extracting more orange hues from Living Coral, this marbled wastebin is an elegant and subtle addition to any living space. The non-porous resin is stain resistant and food safe, turning unsightly trash into a modern art piece. A subtle pattern can bring whimsy into an otherwise neutral space. 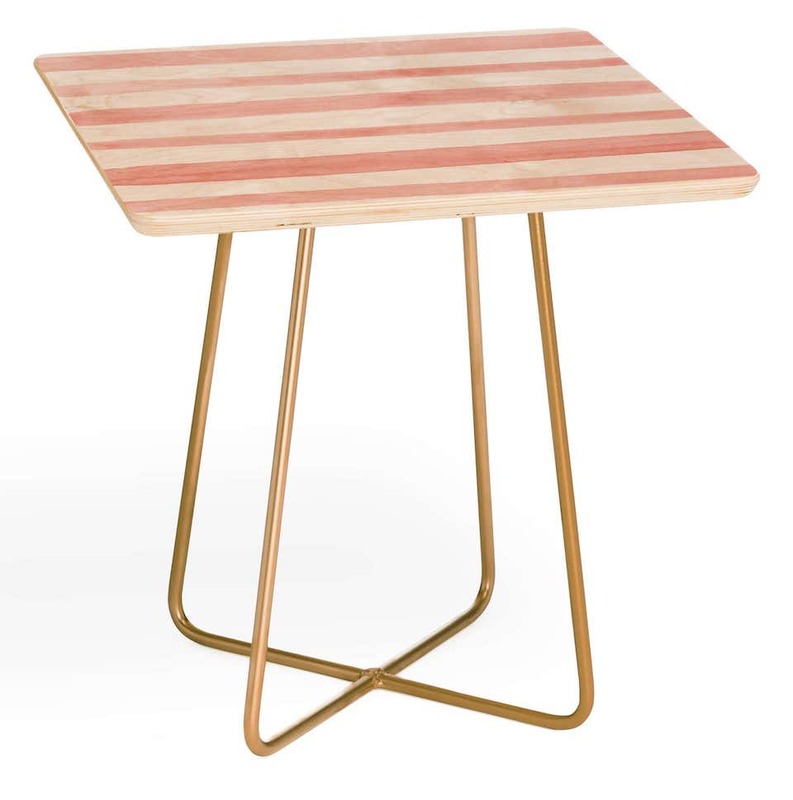 These coral stripes add another layer to a space, while brass legs give a touch of Mid-Century modern inspiration. Women artisans from Hidalgo, Mexico, hand embroidered this pillow in the traditional Tenango, houndstooth stitch method. 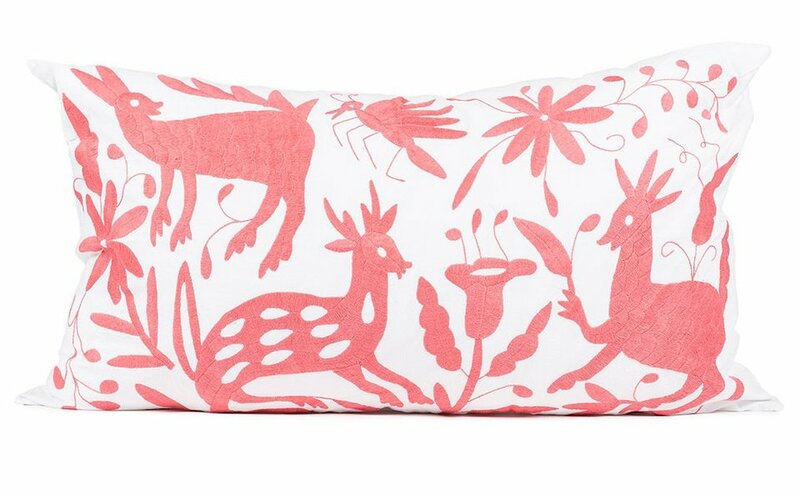 The whimsical design is perfect for the children’s room, den or pool house. 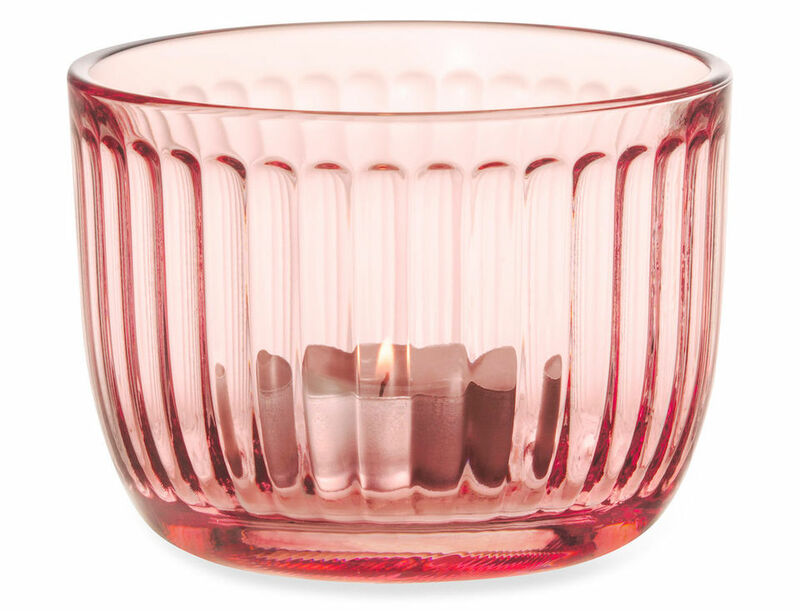 Take your tealights up a notch with this glass holder, ideal for a romantic table spread or a relaxing at-home spa session. The interior of the vessel is fluted to reflect the candle’s flame.